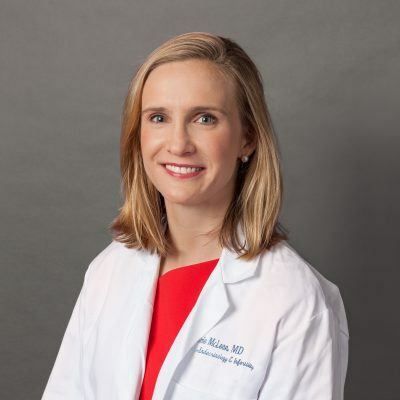 Dr. McLean enjoys making lasting relationships with patients and families and helping couples navigate the often complex decisions that surround infertility treatment. Dr. McLean was raised in Athens Georgia, attended the University of Virginia for her undergraduate education and the Medical College of Georgia for medical school. She completed her residency training in Obstetrics and Gynecology at the University of North Carolina at Chapel Hill. She completed her fellowship training in Reproductive Endocrinology and Infertility at UAB and stayed on as faculty for three years where she directed the oocyte donor program. She has won multiple teaching awards over the course of her career, as well as a top Women in Medicine Award from B Metro in 2017. Dr. McLean specializes in the evaluation and treatment of infertility, In Vitro Fertilization, third party reproduction and recurrent pregnancy loss. She enjoys making lasting relationships with patients and families and helping couples navigate the often complex decisions that surround infertility treatment. Dr. McLean and her husband, Bryan, have three children and a very large St. Bernard. Dr. McLean enjoys baking, exercise and the great outdoors.